Can You Make Money From Your Website Hits? You are here: Home / Make Money Online Tips / Can You Make Money From Your Website Hits? Many people are asking themselves if they can generate profits from their web pages or website hits especially those who own an internet site. The answer to this classic question is not directly a YES. We have to remember that website hits simply shows the number of times that people are coming in and browsing your web pages. In essence, it indicates your popularity to other website owners or your findability on the search engines. However, you can be earning money from home with your web pages hits provided that you know exactly HOW. In fact, there are numerous ways on how you can achieve this. Also, you can make use of numerous tools that will help you leverage your efforts and make money online from your websites traffic. The first method that you can use to convert your website traffic into cash is the advertising stream opportunity. 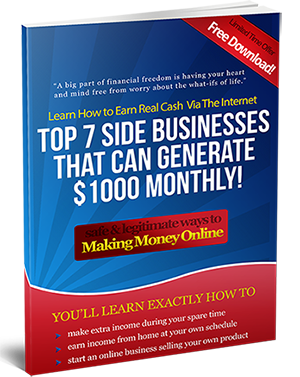 This can be really be profitable if you are getting a considerable number of traffic. In fact this is the money making model being used by the popular bloggers or the so called A-List bloggers on the make money online niche. What products should you advertise? You can easily start earning some bucks by making use of Google’s Adsense in which they automatically place ads on your site. Money is made here by getting a percentage each time someone genuinely clicks and buys an item through the advertisements in your website. If you do not want to make use of Google (because you finally realize that you aren’t really making the amount that you supposed to earn), then you can make use of other affiliate network sites such as Clickbank or Commission Junction. One beauty of using affiliate networks is that you can personally pick the kind of advertisements you will be putting up on your site. Another beauty of using affiliate programs is that there are numerous advertisers that allows you to sell their products and earn commission. This means that you are given the freedom to choose the product or services which best suit your traffic’s needs. The only difference among these advertisers is probably the policies involved when dealing with the payment and other affiliate requirements. Lastly, you can make money off your website hits by offering items which you created yourself. You can also offer your own services. Many of the services that people, usually webmasters themselves are seeking for, are those that involve website creation and development, software and script creation, data entry, graphics design and many other skill that is related to internet stuffs. Since your blog or website is already getting a significant amount of website hits, it’s more likely that a certain number of your visitors will be interested about what you might want to offer. With regards to this article, it’s expected that you have already done the tough part of promoting and marketing your website to your intended market. The companies whose product that you will be promoting or selling directly is more than happy to pay you a large commission since the hard part of getting customer’s attention had been done by you. If you search diligently, you can find many other unconventional methods of making money online out of your website’s popularity. For instance, you can experiment with offering your blog to other webmasters who want to ride in the popularity that your blog or website enjoys. For those easily confused folks, it doesn’t necessarily mean that you will be giving them total control of your own website; instead you will simply be giving attention for their products or services as though they were your own and promote them on your own site. Or you could utilize your blog as being a place in which they could have their backlinks piggyback to you. This will in some way place their websites in a better position with the search engines which will consequently translates to more money for both of you. I lately came across your blog and have been learning along. I believed I would leave my very first comment. I do not know what to say except that I’ve loved reading. Fine blog. I will preserve visiting this blog very usually. Thanks for the info. I’m still new and been finding ways to earn reasonable amount of money on the Internet. Need pieces of advice like this. Thanks.